When looking around at cars for sale I often overlook the humble pickup truck. Not on purpose, you understand. It’s just that, well, it’s a pickup truck. 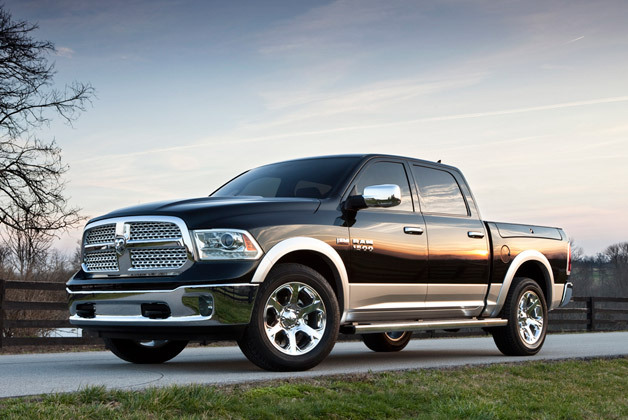 So when I was offered the opportunity to check out the Ram 1500, I jumped at the chance. Sure, all of the above points are important when shopping around for a new truck – but I wanted to know how much bang for my buck this four-wheeled workhorse would really give me. Luckily, the Ram 1500 does all of the above – and more. 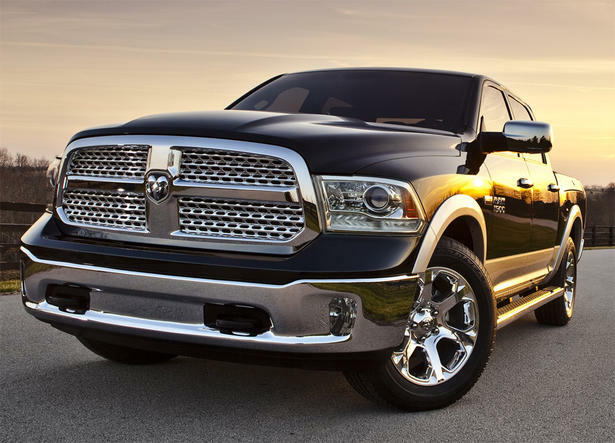 Although the majority of the 2013 1500’s changes lie beneath its manly skin, it has made some slight changes to its predecessor’s makeup. Firstly, the grille is larger and the bumper at the front is different. Secondly, quad halogen headlights are now standard across the whole 1500 line, along with LED taillights. Additionally, those tempted by the huge range when looking at cars for sale can again choose from rear or 4WD amongst other add-ons such as windshield wipers that switch on with the rain. As standard, its aluminum 3.6-liter V6 engine comes with double-overhead cams, four valves per cylinder, and is light years ahead of its predecessor. Pumping out 307 horsepower and 269 lb-ft of torque, this beast is ready for anything! For those looking to save a few dollars, the Tradesman and Express are considered the best value for money, while the SLT, Big Horn and Lone Star Trims increase the price slightly. If you’re looking for a more specialized touch, however, the Outdoorsman, Sport and the Laramie Longhorn are for you. 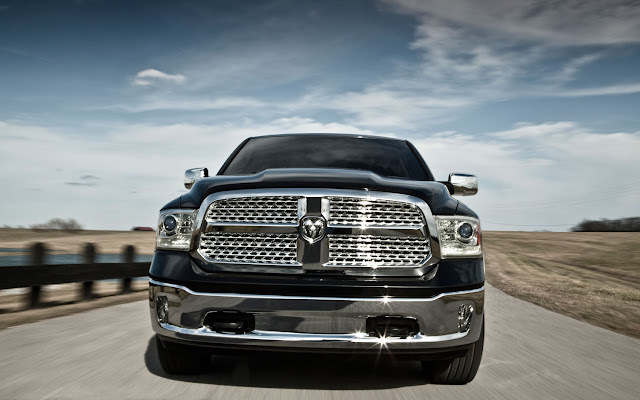 Style wise, the Ram 1500 is very similar to the outgoing model – but it’s the changes under the exterior that make this one of the most improved and competitive pickups on the market. And how does it drive? Well, the ride is smooth, the handling and steering are impeccable and the V6 gives me just the right amount of power. However, for those looking to tow larger items it’s perhaps worth investing in the 5.70-liter V8. Prices are expected to begin at $22,500 with top of the range models around $45,000. I urge you to check it out! Author Bio:Danny Dacres likes nothing more than the roar of a V8. When he's not tinkering around under the bonnet of his own car, he can be found writing articles for his own blog or, in this case, on behalf of Parkers - the UK's new and used car specialists.